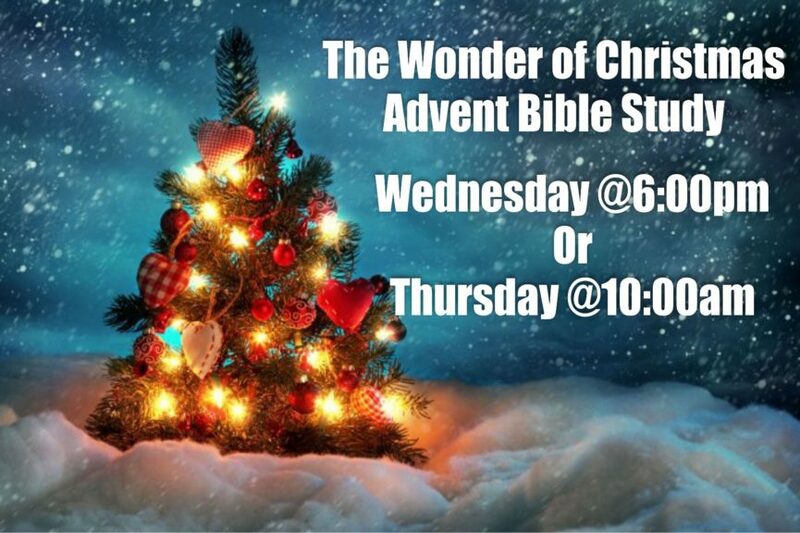 Everyone is invited to “The Wonder of Christmas” Advent Bible Study that meets on Wednesdays evenings and Thursday mornings beginning November 28, 2018. Choose which day is best for you: Wednesdays at 6:00 p.m. or Thursdays at 10:00 a.m.
Join us as we rediscover the true wonder of Christmas by sharing the love of Christ with others. This four-week, all-church study centers on looking to the Christmas story and the stories of real people today to find inspiration and ideas for reflecting the light of Jesus at Christmas time and throughout the entire year. Please contact the church office if you’d like a book.